Stratford Homes Timber Grove | Excelsior Homes West, Inc.
Are you looking for a three bedroom, two bathroom loft style home? The Stratford Homes Timber Grove may just be the perfect floor plan for you! The Stratford Homes Timber Grove has three bedrooms, two bathrooms, and just over 2500 square feet of space. When you walk through the front door of this spacious home, you are greeted with a large dining room that opens up to the kitchen. The L-shaped kitchen has plenty of food preparation space along with a walk-in pantry closet, center island, and drop zone area. Downstairs you will also find the two spare bedrooms, guest bathroom, and spacious living room. Upstairs includes and large loft space open to the living room below and the master suite. 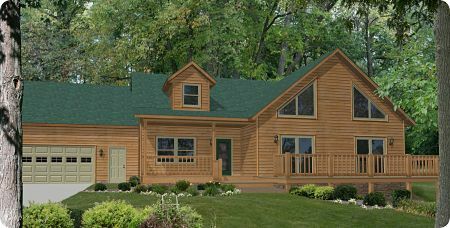 This modular home is built in Stratford, WI and can delivered throughout Minnesota, South Dakota, North Dakota, and beyond! Contact us today for more information and pricing details. We are here to help you find the home of your dreams! The Stratford Homes Timber Grove can be customized with upgrades and finishes available through the Stratford Homes manufacturer. The Stratford Homes Timber Grove has many options available to truly make this home your own. Customize this floor plan with different finishes such as the flooring, countertops, lighting fixtures, cabinetry, exterior finishes, and much more. You can also add a garage or porch attachments on-site for more of an unique look. Visit our location in Hutchinson, MN and tour our home models for more ideas on how to make this Stratford home your own!